Growing food businesses and the local food economy. improve your culinary techniques, and so much more. Not in the food business? The facility can also be rented for non-commercial users so you can save the season. Classes are for "foodpreneurs" and foodies alike. Who knows what great ideas will be inspired. Together, we can create positive and lasting change to our food systems by getting involved, sharing ideas, and supporting local. The MHK Food Business Incubator is a certified commercial culinary production facility dedicated to growing emerging retail and wholesale food businesses. Located in beautiful East Tennessee, in the heart of the vibrant Appalachian food community, our facility supports the growth of food and farm entrepreneurs. We partner with emerging food businesses and help grow their ideas by providing the infrastructure, expertise, and network needed to be successful. There are many complex steps required to bring a great food concept to reality. 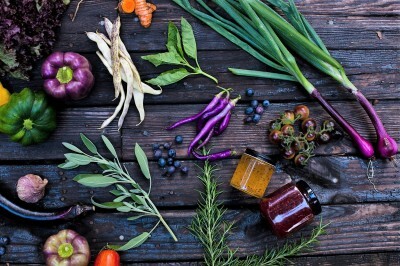 Whether you’re a farmer, food truck owner, caterer, producer of baked goods, sauces, jams, juices, or food artisan, you can benefit from our services. ​Contact us if you're interested in growing your food business. Let's start the conversation today.